This is so much more fun to eat for breakfast! Thanks mom, it's fun to remember breakfasts as a kid (and the leftover milk in the bowl is much better when it's pink). haha, this is awesome. wahoo linda & sugar-filled cereal's! speaking of kashi, aldi's has a knock-off kashi go-lean crunch that i must say is quite good...and quite less expense. aldi's--how i love you. I just never know what's going to show up on your blog! Do you feel like a kid again? Glad you had a good day! YES!!!!!!!!! Cha-ching. Yes, yes! (Lots of arm-pumping...) Chaching! Oh Betsy- if I could only see you and Molly doing your rendition of this once again...:) Just thinking about it makes me smile! Weird! 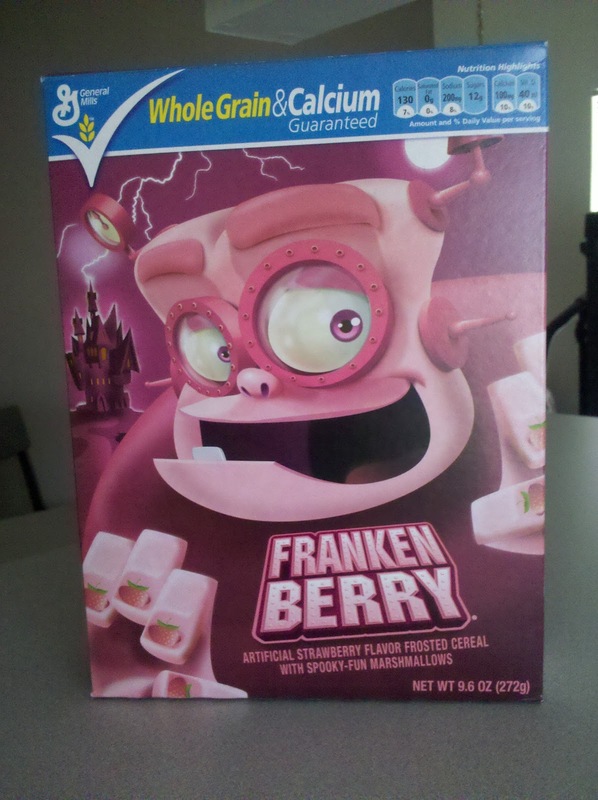 I've never even heard of "Franken Berries". We definitely had our share of Lucky Charms growing up. And Reese Puffs (my personal fave). I'm pretty sure this particular cereal may be seasonal for this time of year?